Dot Dash and Remote Control Records are incredibly excited to announce the signing of Melbourne based 9-piece Dorsal Fins. The band have today shared the first single ‘Sedated’ from their forthcoming record. 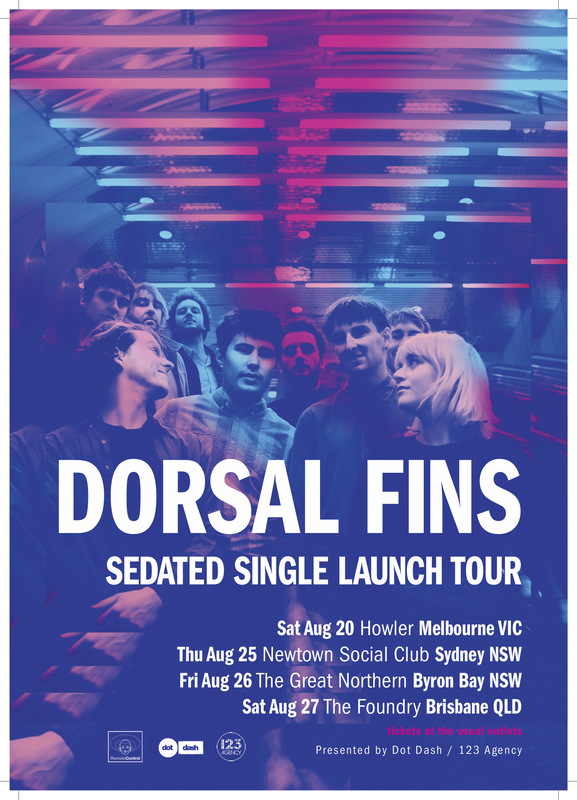 To celebrate the release, Dorsal Fins will be playing a string of east coast dates in Melbourne, Sydney, Byron and Brisbane throughout August. 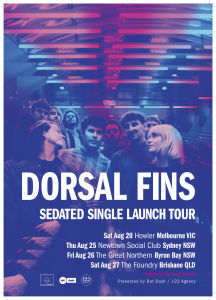 Tickets for Dorsal Fins’ east coast tour can be found here. Their new LP will be released later in 2016 via Dot Dash / Captured Tracks in North America and Dot Dash / Remote Control Records for the rest of the world.